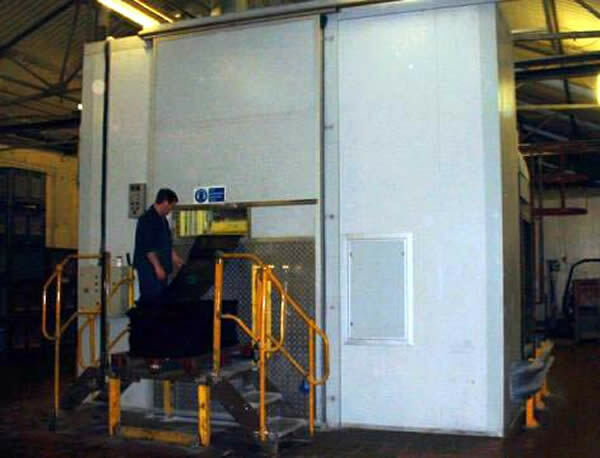 A company manufacturing rubber automotive door and weather protection seals used a large granulator to process the waste material ready for recycling. The noise level associated with this was 99dB. A purpose made metal acoustic enclosure was constructed around the granulator. The material for recycling is fed into the granulator through a slot as can be seen in the photograph. The noise level was reduced by 10dB to 89dB.